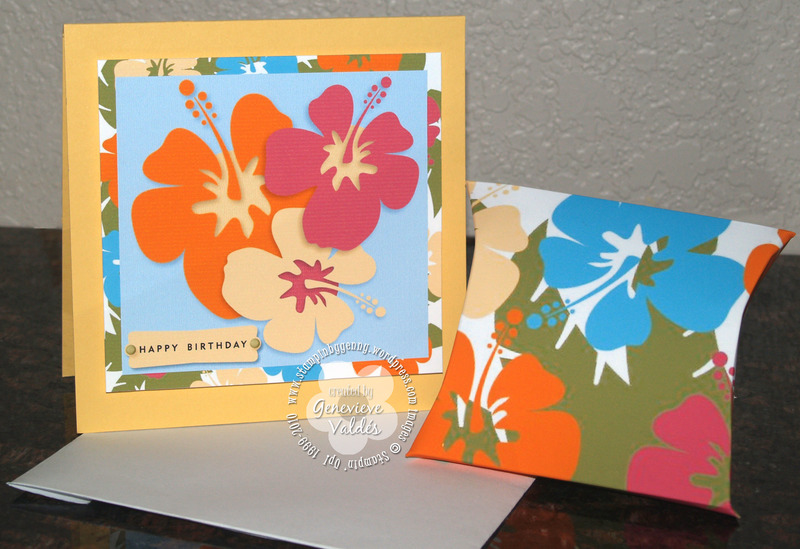 This week at Hand Stamped Sentiments we have a Luau Theme Challenge. I had fun creating these projects with My Digital Studio software. 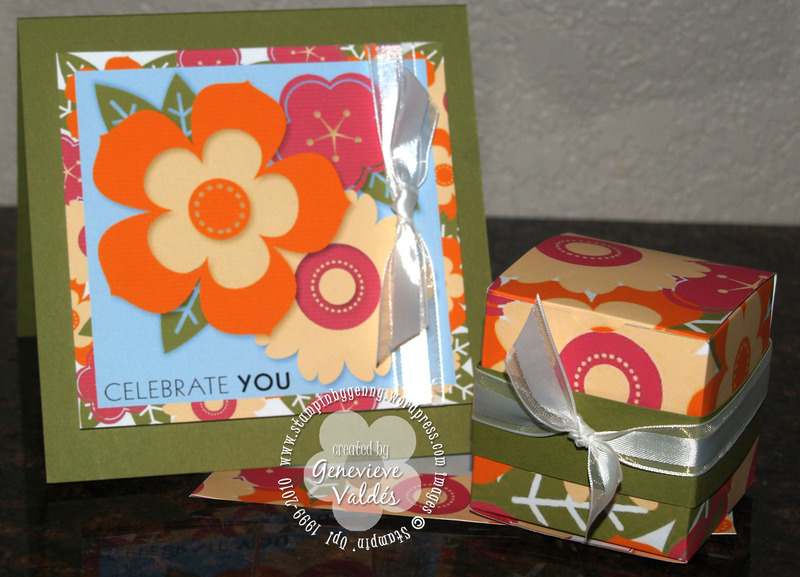 I created a card and favor box using the digital stamps Petal Pizzazz included with initial purchase of MDS. I used this stamp set because the flowers were big and bold. Just perfect for this theme. I printed a layer with the images and sentiment then adhered it to Old Olive card stock and added ribbon. So easy! 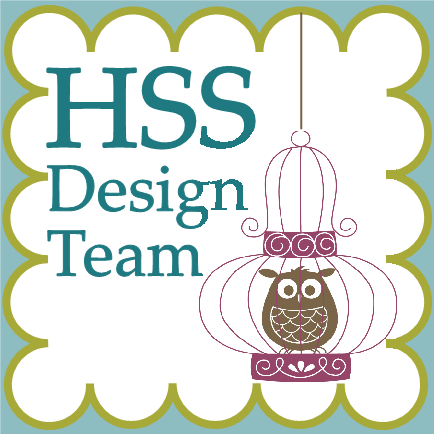 The next project I also created with My Digital Studio but this time I had some hibiscus clipart I wanted to use. I was able to import the images into My Digital Studio but first I had convert the .jpg images to .png files then put them into the embellishments folder in MDS so I could access them. In MDS I created a background with both the Petal Pizzazz and hibiscus images to add behind the flower images and to also make the favor boxes. The templates for these boxes can be purchased for $1.95. This card was created digitally with My Digital Studio. This card was created digitally with My Digital Studio. The hibiscus images were imported into MDS. 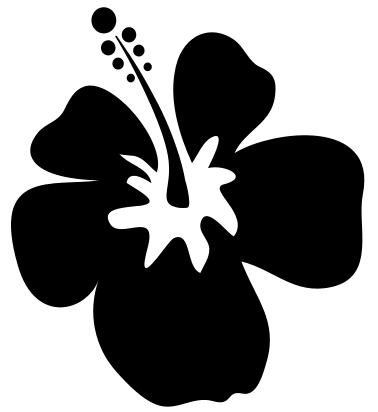 Click here for hibiscus image. (Hibiscus image by KeepDesigning.com To download image right click then save image to your computer. I really need to purchase these templates! What a great idea. I was wondering how your papers were so vibrant. I am going to start experimenting with printing out MDS. Great job Genny!